2000: Gretchen Hayden begins teaching accredited courses at the Tufts University Department of Drama and Dance, and Wellesley College. 2002: Chhandika (The Chhandam Institute of Kathak Dance, Inc.) is incorporated as a non-profit organization, with 25 students in Cambridge. 2002: Pandit Das reopens his parents’ school of Chhandam Nritya Bharati in Calcutta. 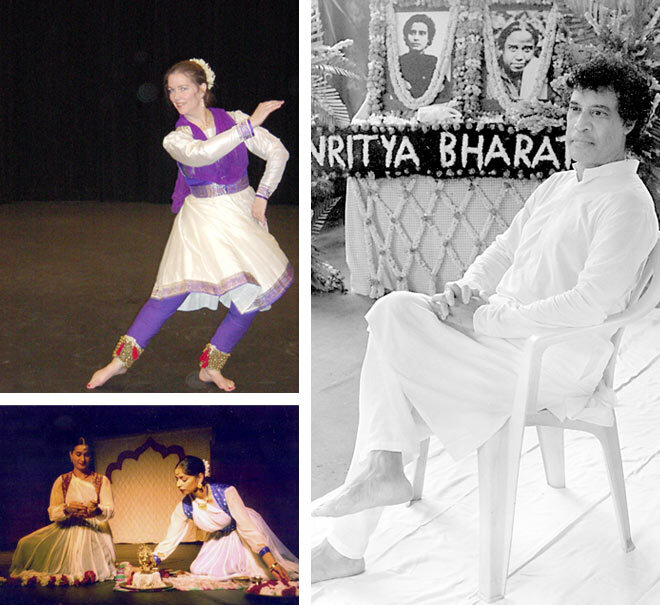 2003: Pandit Das receives the Isadora Duncan Dance Award for Best Dancer of the Year and his collaborative production East as Center with Guru Govindan Kutti and Ni Kettut Arini. 2003: Gretchen Hayden creates original work Naya Deep, based on the story of Princess Dymphna, with music by George Ruckert. 2004: Chhandika opens new class locations in Andover and Acton, MA. 2004: Gretchen Hayden collaborates with local Irish dancer Kieran Jordan and tap dancer Jill Braverman to create Rhythm Underfoot, a celebration of percussive dance.